The way to Santiago de Compostela is an ancient pilgrimage route that provides unforgettable experiences to those who travel along it. A Pilgrimage is an act of faith. It is a Way and, as such, it presupposes an itinerary but it does not stop at that. It must be associated with an intention and an objective, nourishing the motivation and awakening inner search, thus bringing about spiritual enrichment. The Portuguese Ways hold a special place among the pilgrim routes to Santiago de Compostela. The Portuguese Coastal Way is important as it brings pilgrims from the most westerly part of Portugal. Starting from Porto, it follows the coastline north. The Way then links up with the Way that comes via Tui. All these towns play an important role in this pilgrim Way due to its location, its historical importance and the fact that many aspects of the Jacobean faith have been well preserved there. Walk along sandy beaches and through historical coastal towns of northern Portugal, the rugged Galician coastline and beautiful beaches of Baiona before joining the central Camino in Redondela. 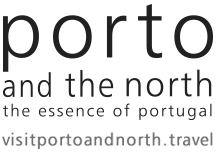 The richness of its monumental and artistic patrimony, the Port Wine cellars, the many spots dedicated to leisure and culture are only some of the reasons that invite you to visit Porto. The hotel is located in Porto downtown, near the Douro river, within a walking distance of the famous wine cellars. 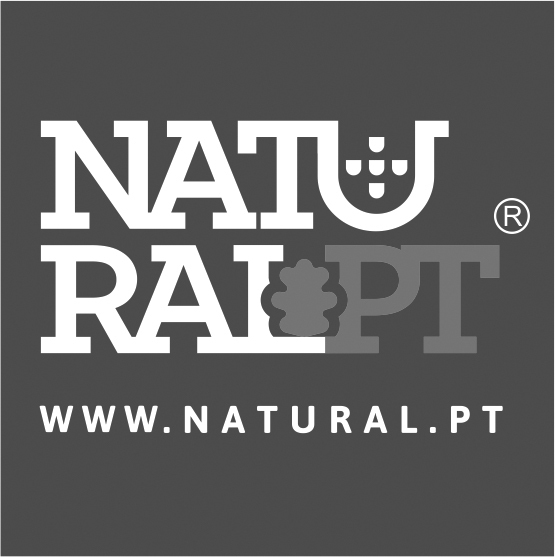 Transfer Porto – Matosinhos. Cycle along the coastline on wooden boardwalks and pavements that will lead you to a series of wide sandy beaches, nature reserves and fishing villages until you get to the seaside town of Vila do Conde. Overnight in Arcos (Vila do Conde). Your journey starts walking crossing the urban areas between Vila do Conde and the coastal resort town of Povoa de Varzim. Walk alongside the coast between flowers and sand dunes and across beaches then head inland towards Esposende through market gardens, woodland, and villages and a bridge across the wide Cávado estuary. At this stage, you´ll leave the coast behind and pass through several villages and some delightful woodlands and rivers. The Eiffel bridge over the River Lima, an attractive town famous for its ancient and contemporary architecture, offers magnificent views over the Lima valley and estuary with views of distant mountain ranges. Overnight in Viana do Castelo. Spend this journey mostly inland, through a string of villages with occasional coastal views and rivers. Enjoy the shade of the eucalyptus forest as you make your way uphill before descending to the seaside town of Vila Praia de Âncora. Overnight in Vila Praia de Âncora. Follow the coastal path between âncora and Moleda until you get to the charming town of Caminha. If you have time, take a detour through the pine forest beside the beach. A short, scenic ferry will take you across the River Minho to the peaceful fishing town of A Guarda in Spain. Visit in a detour the Santa Tegra Celtic settlement before leaving A Guarda – magnificent views of the coastline. Follow the Way through the town center and along coastal pathways, forest tracks, and tarmac roads until you reach the small but attractive beachfront village of Oia and its 12th-century monastery. Start the day with a rural coastal landscape of tiny fields, scattered houses, and a few villages before a change of scenery and terrain as you cut across the mountains towards Baiona. A final descent through the countryside a bring you into the medieval center of Baiona. As soon as you leave the residential outskirts of Baiona, the terrain becomes ever more rural with villages and patches of woodland. A stint on a busy road ends with another series of villages before you reach Vigo where you’ll cut through Castrelos Park to avoid walking through the city. Leave Vigo and follow one long road that connects a string of peaceful hillside villages with views across the city, estuary, and port. After several kilometers, you’ll swap houses for trees and views of floating mussel farms and the Cíes islands before the descent into the town of Redondela. Climb through the woods before heading down to Arcade, a riverside town famous for its oysters. One more beautiful stage starts, leaving Arcade via its iconic bridge. Follow Ancient stone paths lead up through the woods and a scenic detour takes you along the River Tomeza. Explore the historical city center, its atmospheric squares, and tapas bars. Today’s walk to Caldas to Reis takes you through attractive countryside and a section of forest to the riverside spa town of Caldas de Reis. Soothe your feet in one of Caldas de Reis’ thermal springs when you arrive. Overnight in Caldas de Reys. This stage begins with an easy ascent through a series of small villages and the delightful Valga forest. You’ll see several attractive churches and stone crosses on the way to Padrón, the riverside town where St. James’s body is said to have been laid to rest by his faithful followers. The final stage of the Camino is largely through the countryside with a reasonable amount of shade. Only the final few kilometers are in busy urban areas and once you enter the ancient narrow streets of the narrow medieval center of Santiago, the atmosphere changes your approach to the cathedral square. Enter the medieval center of Santiago to make your way to the magnificent cathedral and end your journey.